After you have brought your image into Pano2VR, you can choose to convert that image to a different projection or into cube faces. Bring your image into Pano2VR. 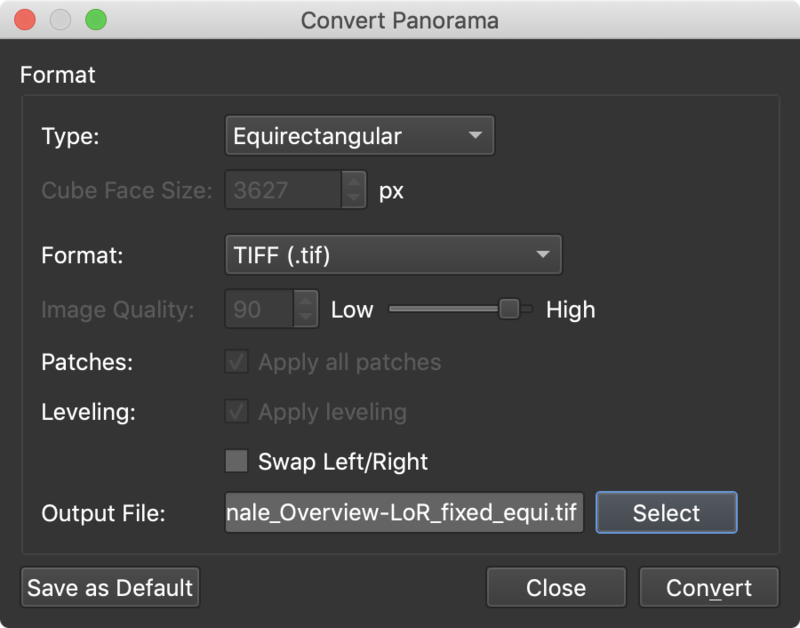 This number is automatically generated for you and uses either width/4 or width/pi, depending on what is set in Pano2VR’s settings/preferences.